This is my last address to you as President, but I promise I won’t disappear. I’m looking forward to serving in our new President’s Board in my new post as Jr. SIUSA Representative and to learn more about the SKAL Organization internationally. I’ve enjoyed working with all the Officers and Board Members of course and wish Laura and the New Board of Officers and Members the best of success throughout her Term of office this year. Let me advise you now to start grooming and encouraging your next round of Officers and Board who will follow in your footsteps for the next year in January, 2013 because the November elections will be here before you know it, and there is still a lot to be accomplished for Atlanta SKAL before the end of this year. 1. We started out with an ‘open-door’ policy with having as much communication as possible to all the membership, and I’m sure we’ve driven Clark crazy with all the communication going in and out. Plus, Thanks to Burcin, we initiated our first Quarterly Newsletter and started posting information on the new Website, and recognizing Members for achievements and trying to highlight a different one each month. 2. Re-design the website and get a new webmaster – Thanks to Sam Zencirli we have a great new design and a fully functional website and a responsive webmaster with electronic forms and PayPal links to pay for events online. 3. After a bit of struggle, I believe we finally have the PayPal fully under control and linked to the SKAL Bank account. 4. Starting with this Term (MAR-APR), we have the Audit completed and have paid up our back dues to SI and should be able to start on a zero balanced budget going forward with a Treasurer’s plan of a formal budget for the Board’s approval. 5. We also had additional speakers and activities this year at our meetings and more new people attending meetings and joining. In fact, sometimes it seems we have more guests attending than regular Members proportionately. We would like to continue to add value to our meetings and to our organization and to bring in new and active members who want to get involved in and be a part of the organization. At any rate, I as the President and we as the Board this year believe we have helped to move Atlanta SKAL forward and to help make grow the club and make it a more viable club for the future. 6. I think we have a good start on being selected as one of the top SKAL Clubs in SI because we have met the criteria so far I believe in paying our dues on time, reporting our elected officers, etc. so maybe Laura can collect this Award for us in Seoul, Korea this year at the Congress. · that the Club has paid its membership fees to the General Secretariat by 28 February 2012. · that the Club has returned a list of its current members to the General Secretariat on or before 31 March 2012. · that the Club has sent a Form 2 showing the current officers by 13 April 2012. · the number of new members in the previous calendar year is taken into account which should be a minimum of 10% net increase or 10 new members or more (calculations based on period from30 April 2011 to 30 April 2012) . · that the Club registered a voting delegate at one of the three previous Skål World Congresses. Once the General Secretariat has established the list of Clubs which qualify according to the criteria outlined above, it will contact these Clubs by the beginning of May and ask them to submit a short presentation (maximum seven minutes) on CD Rom outlining why that Club feels it should be a candidate for Club of the Year. The deadline for submission of presentations at the General Secretariat will be 22 June 2012. 1.Thanks to Clark Goodwin for being taking care of our Welfare Committee and always keeping me ‘politically correct’ in making my words come out better than I said them originally. 2. Thanks to my Sergeant of Arms and my Calloway Cabin Mate, Richard Tilley, who loves it when the President of the Club serves him a beer in front of his wife at the Christmas lunch. 3. Thanks to Gail Evilsizor for making sure that I followed the Rules and played the game correctly and met the standards and whom I respect greatly as a true Professional. Also, thanks to both Oliver and Hardy (Richard and Gail for being the great organizers of the Annual Golf Tournament, which we look forward to every year). 4. Thanks to Shary Dyer for being a dedicated Treasurer and always having the Club’s best interest at heart. Shary never failed to have the Reports ready for a meeting, and always had good suggestions for saving the Club money. 5. Thanks to Laura for always keeping me on the straight and narrow (playing the devil’s advocate), making me dot my I’s and cross my t’s – she’s going to make a great President – very detailed. 6. Thanks to Bob for being my Mentor, supporter, advisor, and for doing a lot of the dirty work, picking up the pieces, letting me cry on his shoulder, praying for me, and attending all the Trade Shows, events, and always being the perfect SKAL Patrician. I would not have made it without You Bob. 7. Thanks to Debbie Arett who let me join her and Diane Denney’s Double D Club when they recruited me to SKAL for my other attributes other than my name starting with a D for always being there with advice, support, and true friendship. 8. Thanks to Kenny Song for being a ray of sunshine and always having a sense of humor and for being willing to take back those dang Flags again. 9. Thanks to Catherine Tripplehorne for being our PR person and helping give us some great ideas. We look forward to her working on the committees this next year. 11. Thanks most of all to my ‘mini-me’ who is an Energizer Bunny Rabbit’, Burcin Turkin, who was the ‘wind beneath my wings’ in so many situations last year and the inspiration and creativity for so many of our great events and ideas for the auction, the Past President’s Ball, the website, the Newsletter, and a passionate Skalleague who is driven to contribute and make SKAL a great organization. As you can see --- It takes a Village to build a SKAL Club as great as the Atlanta SKAL Club…and I’d like for you to give my 2011 SKAL Board and Officers a round of applause with me. I appreciate ALL of our members who contributed through meetings and events, and I am proud to say we have been able to help support our local scholarships and causes a good deal in spite of economic set-backs. It’s been an exciting year for the Atlanta SKAL Club, and it’s been a real privilege for me to serve as the SKAL President. I wish all of you and your families and your staff the very best for this coming year! Without doubt, we are all associated with an important industry. 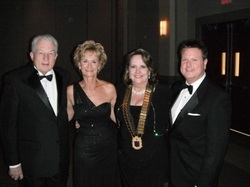 These up-front thoughts may help to explain why your SKAL Atlanta Executive Board had to make some hard decisions for our Member Dues and Fees for 2012. The new structure makes good financial sense to the Club overall, while taking into account the needs of the Club's diverse member categories. conditions. Our best efforts at raising funds at our annual Auction fell short by about $15,000 in 2011, and prospects for 2012 may also be challenging. We will need everyone’s help this next year to make ends meet! Costs for holding events and our expenses associated with meals and drinks, etc. continue to increase, while our fixed costs remain. 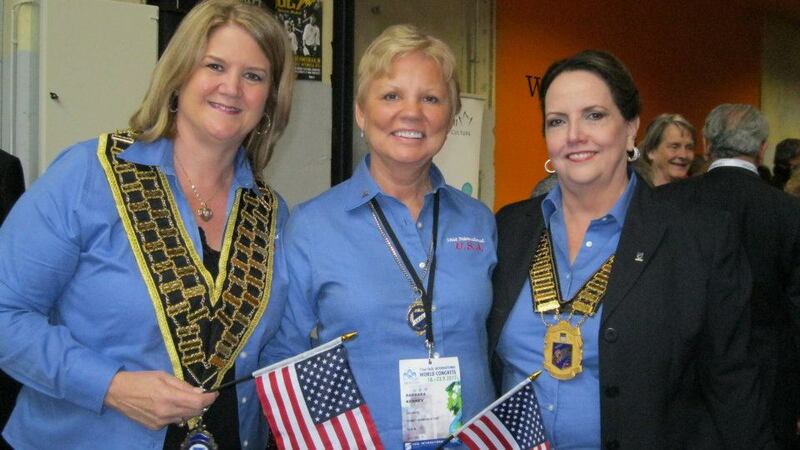 We pay international dues to SI and send a representative to international SKAL meetings. We fund Club insurance, NAASC, internal organizational costs, pay Website, tax preparation and accountant fees, make Florimond Volkaert Fund contributions, and pay for Young SKAL Program Support, etc. It is unfortunate, but many people within our own industry still don’t know what SKAL is; and hotels, restaurants, etc. are not willing to offer discounts or sponsorships. There are no ‘free rides’ any longer in this industry, nor should we expect them. 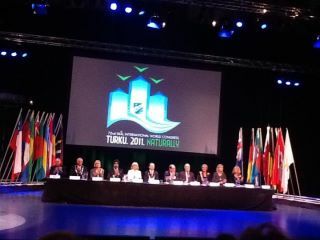 I wanted to give you an overview of the 72nd international Skal Congress Sept. 19-23, 2011. As your President, it was a wonderful and inspiring opportunity for me to learn more about the true meaning of the Skal Organization and to bring back to you information on some of the exciting things that Skal international is doing and some great ideas from fellow clubs around the globe. Pictures from the event will be posted on our local website. 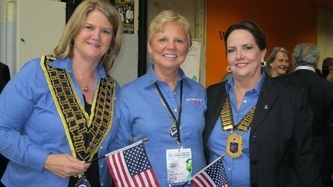 It felt like I was attending a meeting of the United Nations, an international Olympics event, and a Republican/Democrat Election Convention all at the same time along with all the hoop-la, politics, and a grandiose coronation, but I was very proud to be from the USA and to represent our very fine Atlanta Skal Club. I made lots of new friends and ran into some old ones too that you may recognize (Rene Welti) whose new club, the Lugarno, Switzerland Skal Club, won “Skal Club of the Year 2011’ with Albany, NY taking 2nd Place. Many members from clubs all over competed for the “Sustainable Development in Tourism” Awards with over 471 entries this year (Ray Hobbs from our Club was an entry for his Green initiatives). Also, many clubs were recognized for being in the Top 10%, which would be a nice goal for the Atlanta Club for Korea next year. The criteria for selection and competition are listed on the new and improved international www.Skal.org website. The 2012 Congress will be in Seoul , Korea and air fares are around $300-$400 RT from both LAX and NYC, and it promises to be one of the most exciting events ever, as it is backed by the Korean Government. Fortunately for the USA, NYC will be the 2013 Congress celebrating their 75th Anniversary - offering a 7-Day Cruise to several ports in the U.S. and Canada with an excellent price of around $1900 congress package price for two people total cost exclusive of airfare with a commitment from the Star Alliance (Delta, etc.) to offer 10-20% airfare discounts. 1. I learned that ‘politics’ certainly does make ‘strange bed-fellows ‘and even stranger Skalleagues -the new Skal International President is V. Enrique Quesada B. from Guadalajara, Mexico. 2. I learned that Skal Clubs and individual members are doing wonderful things around the globe such as helping to stop the exploitation /sexploitation and trafficking of children, helping Rwanda women and others from war-torn and weather/economically damaged countries to rebuild their lives around tourism through education and jobs in the industry, helping with the Florimond Volckaert funds from all the Clubs, building friendships with countries and doing business among friends – educational sites listed and business friends B2B on Skal website. 3. I learned that the focus on the future of Skal is through the Young Skal Program and the Educational Programs being developed and how important our efforts are in this area to mentor and help secure our own Club’s future. 4. I learned that Skal is truly a great organization made up of a bunch of wonderful professionals and a great place to do business among friends and to make new friends – next local event will be the Jacksonville Friendship weekend at the Jekyll Island Club October 21st -23rd. Tampa is having a membership drive event (indoor miniature golf-auction) October 4th, for which they have secured funding assistance from the international Skal organization. 5. I learned that Finland celebrates Christmas in September and eats reindeer meat, which tastes a lot like pot roast (poor Rudolf!). 6. 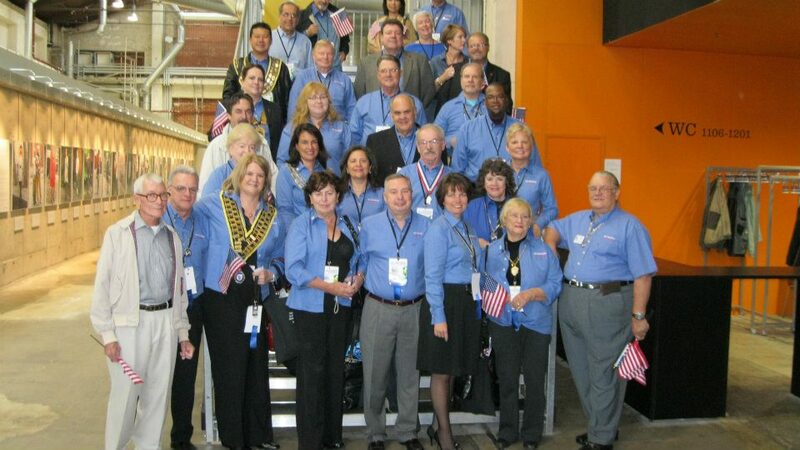 I learned that the 2011 Skal International Congress Group made the Guinness Book of Records for having the longest table of food (over 700 people), and the Atlanta Skal Club was at the 128 Meter spot. 7. I learned the meaning of ‘between a rock and a hard spot’ (one Club’s ingenious way of raising funds is their Model, a Father of 4, Humanitarian and Doctor-Pediatrician who is one of the Doctors without Borders). It’s all in the marketing and advertising! 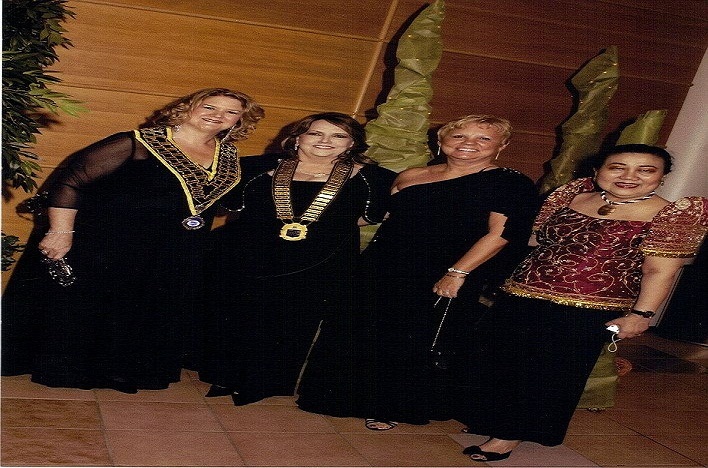 What an amazing evening I had at the Ansley Golf Club In March for the installation of the Executive Officers for Skal Atlanta. I was so proud to be a part of such an occasion, as well as being presented as your President for this coming year. Thanks to the Executive Committee from last year, it was an eventful year with many passionate, good meetings, fun events, sad losses, and delicious meals; all based on the relationships within our Skal Atlanta Club and fellow members. Your time, experience and assistance with the forward motion of our Club are how we have stayed strong in difficult times,----Thank You. Welcome to the "new" members of the Executive Committee and the “old” and “new” Board Members, and I thank you in advance for your time and efforts, while acknowledging that these are volunteer positions. With this New Year 2011-12, we plan to continue the growth of our membership, which is the basic strength of our club and hold many important business and social events throughout the coming year. Strategic meetings have already started for the development of our goals and plans to achieve them, so look forward to updates on our progress soon. Your input is always welcomed and will even be solicited frequently, so you can look forward to that as well! Also, “Thank you” always seems such a small token of our appreciation for all the planning, organizing and presentation of the 2011 Auction, which was a total success thanks to Burcin Turkkan and her committee. My ‘hat is off’ to you and all those that were a part of making the evening successful with your time, support, and contributions. It is a privilege for me to serve you this coming year. You all have become more than just industry colleagues to me, but good friends and my ‘business / professional family’ that I respect, love, and care for – you are more than just a business network to me. It is an honor for me to serve as your President this year, and I hope that all of you and our very excellent Executive Board and Officers will join me with their dedication and commitment to making this coming year one of Skal Atlanta’s best ever, so I invite each of you to ‘give a little and gain a lot’, just as I have done when I joined SKAL Atlanta. I will close with a reminder of our next meeting on Thursday, May 26th, 2011, at Anthony’s Fine Dining, which will be a luncheon of friendship and the building of relationships. Hope to see you all there.